This post is sponsored by Ergobaby, a brand that has given our family the freedom to experience more, together. All thoughts and opinions are my own. When we moved back to Utah last year, we knew that we wanted hiking to be a major part of our lives. It just felt like such a waste to live in a beautiful place and not be able to experience it to its fullest. The major issue with this was finding a way to incorporate Em into our family hikes since she is still unable to walk due to her physical disabilities. I've spent the last several months researching baby carriers, and wanted to make sure that we were getting the best value and quality, while also making sure that we were investing in a product that would grow with Em and allow for her to use it for multiple years. It was a dream come true when I was able to attend the Ergobaby Omni 360 Air Mesh event last week. 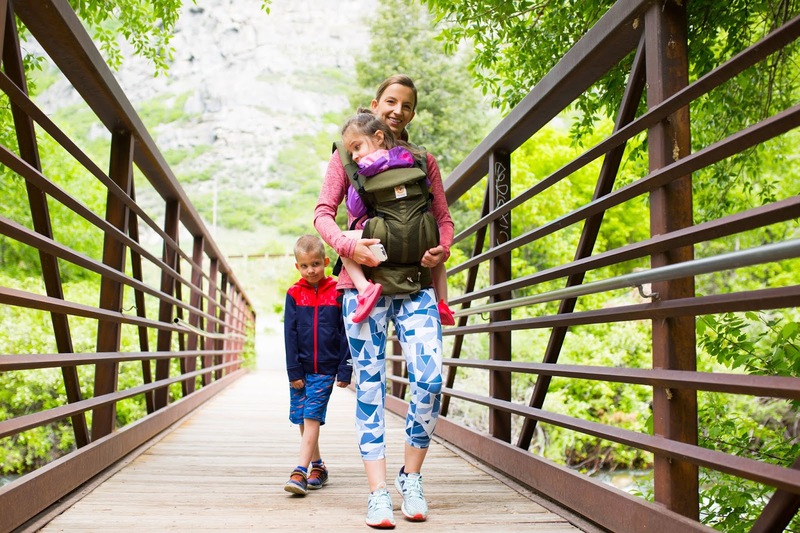 Ergobaby hosted a group of moms up at Bridal Veil Falls to test out their new Ergobaby Omni 360 Air Mesh, and it completely changed the way that I view baby carriers. 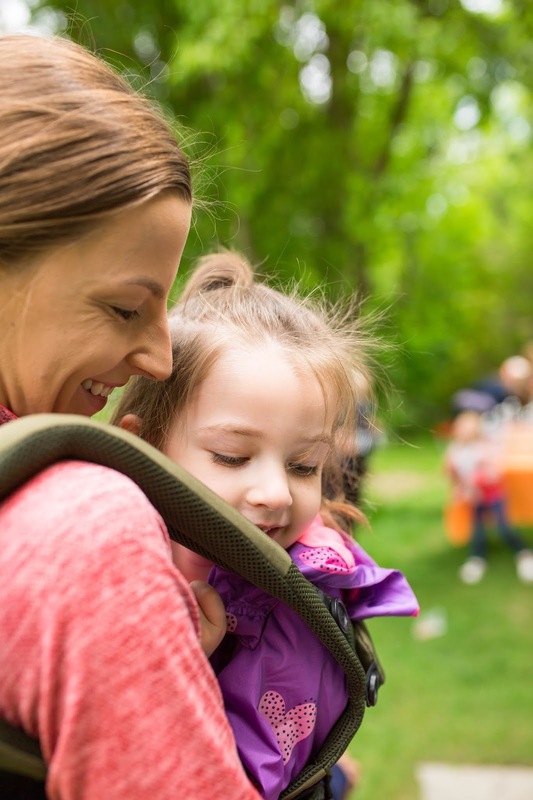 I've tried three other carriers in the last several years of parenting and each one left me feeling like I had a massive deadweight strapped to my body, and gave me tons of back pain. I was a little hesitant about going to the Ergobaby event and hiking Bridal Veil Falls with Em strapped to me because I was nervous about experiencing this back pain again and not being able to do the hike. But, I was pleasantly surprised when I had her strapped to me for well over an hour without having any pain or discomfort. My sister-in-law even tried out my carrier last weekend and commented on how comfortable it was for her and her 16 month old as well. There are a lot of things that set this carrier apart from the rest, like the breathable 3D air mesh panels that help keep you and baby cooler. I also love that you can carry your child in four different positions: front facing you, front facing out, on your hip, and on your back. 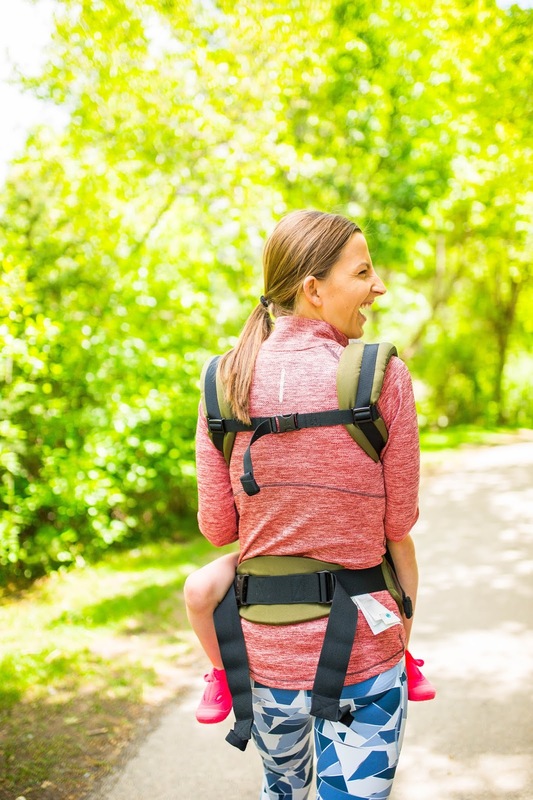 Because there is adjustable velcro settings for the seat portion of the carrier, you also don't need a specific newborn insert because the carrier can adjust for children ranging between 7-45lbs. The thing about this carrier that is most important to me is that it supports a hip-healthy "M" shaped position for your child's comfort and ergonomics. Em already has hip dysplasia due to poor posture and the fact that she went so long without bearing weight on her legs, that it caused her hips to develop incorrectly. I love that when she is seated in the Ergo carrier correctly, I don't have to worry about doing further damage to her small little body. 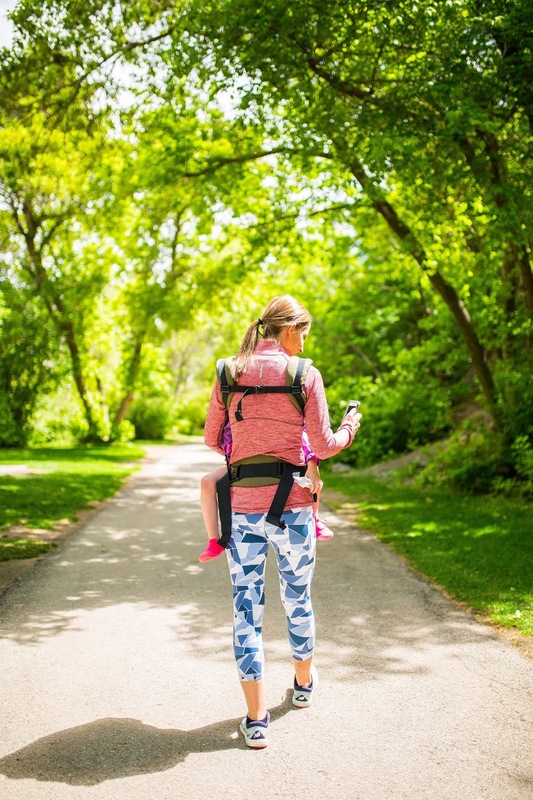 It was so fun to be around so many inspiring and strong women while we were out with Ergobaby last week, and there is seriously nothing better than getting to be hands free while out in the great outdoors with your children. 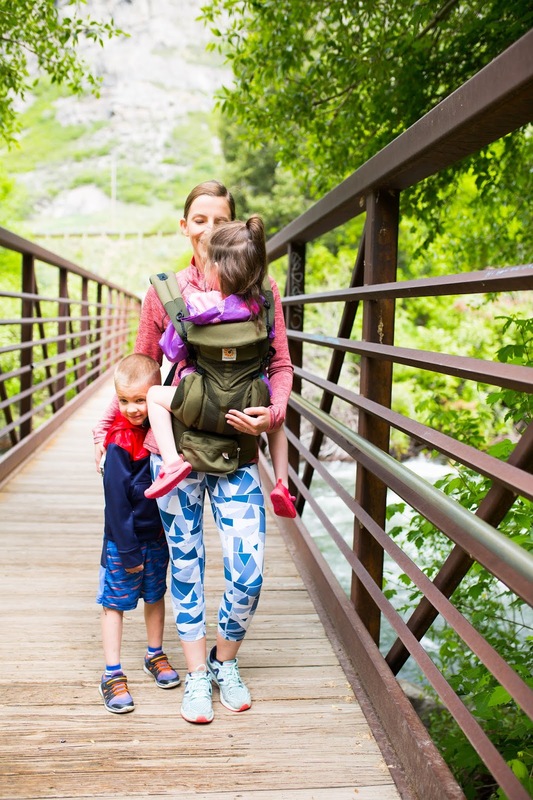 Huge shoutout and thank you to the Ergobaby team who have literally given our family the gift of freedom, and the ability to be outdoors with Em, doing what we love. A beautiful event you captures with child.Make your trip to live foe always through capture these moments by jestaplo.